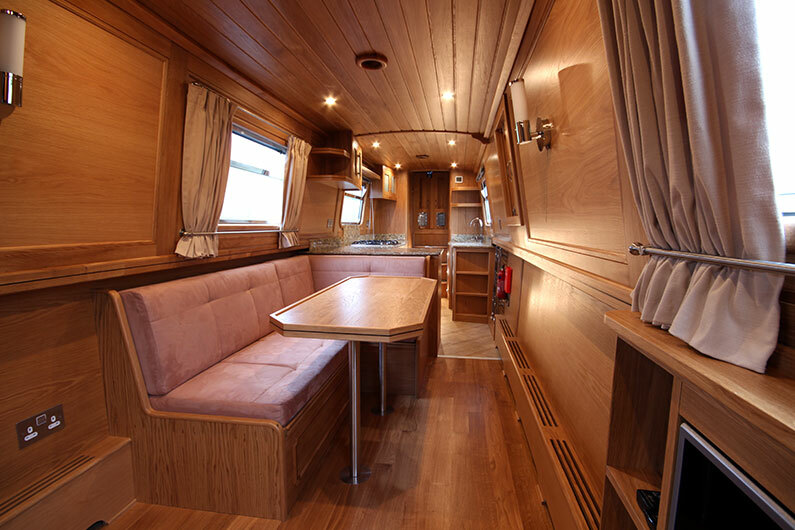 The New & Used Boat Co. have a truly unique portfolio of canal boats, built by some of the most reputable boat builders throughout the UK and Europe. 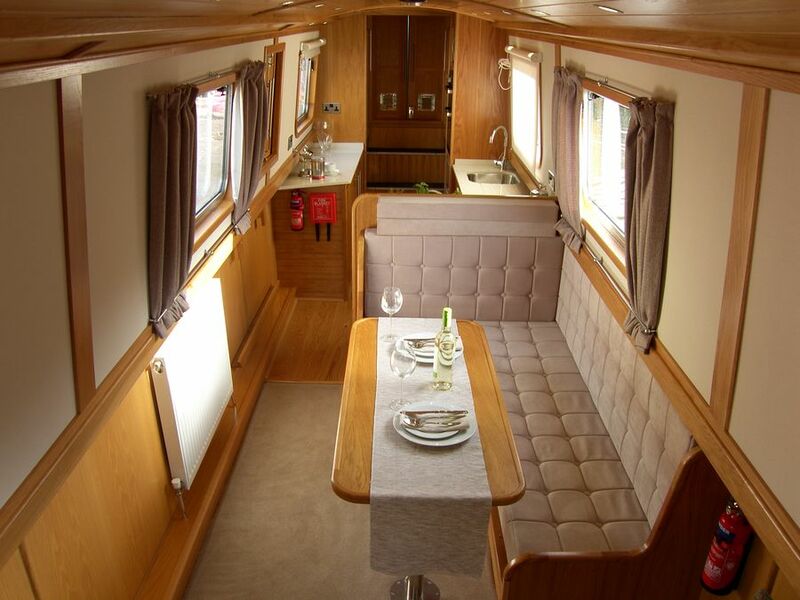 Our keywords are quality and choice, with so many models to choose from each having the flexibility to tailor the length and layout to suit your needs exactly, not forgetting a choice of fit and finish, colour schemes and soft furnishings, engines, galley appliances and entertainment systems. In short, we make your water-way-of-life come alive! From helping you to choose the right boat to giving expert advice, from tailoring the boat to your exact needs to providing a reliable aftersales service, the New & Used Boat Co. aim to provide complete satisfaction. 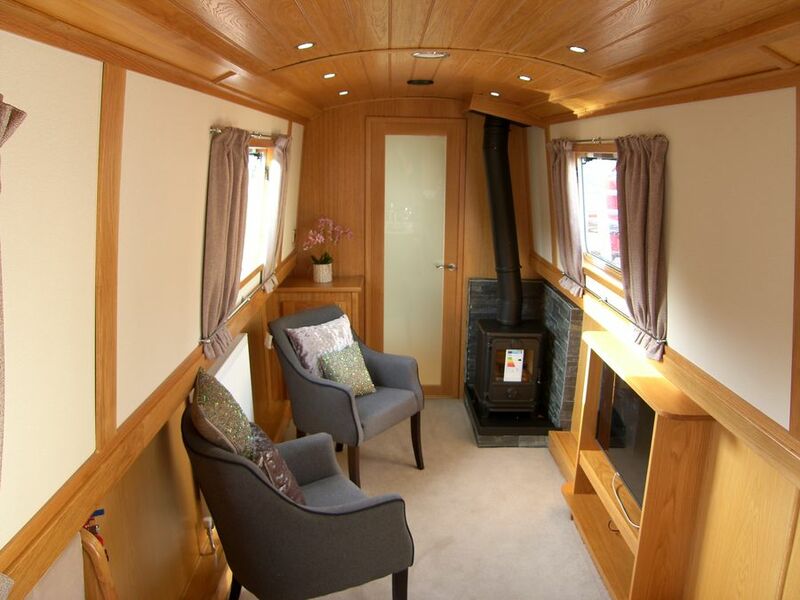 Step into a Hanbury widebeam boat and you’ll instantly appreciate the benefits of the extra width, utilised to the maximum by the creative interior design. With quality materials used inside and out, it all adds up to a boat that represents excellent value for money. Now you can enjoy the benefits of buying a new boat from one of the UK’s leading companies, but without breaking the bank. An ideal way to get afloat. Excellent quality with an impressive specification fitted as standard. There are four models to choose from and plenty of opportunities to personalise your boat with a host of optional extras. 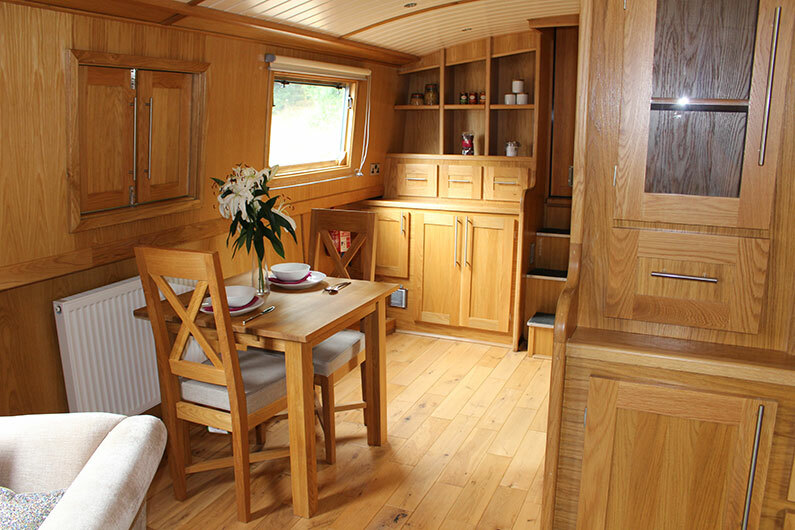 From the moment you step onto a the Shearwater, you’ll appreciate the space on board. A choice of layouts can be personalised to reflect your own taste, plus a list of optional extras can provide extra luxuries like granite work surfaces or a TV in the bedroom, and it all comes at a highly affordable price. From the moment you step onto a Monarch, you’ll appreciate the space on board. A choice of layouts can be personalised to reflect your own taste, plus a list of optional extras can provide extra luxuries like granite work surfaces or a TV in the bedroom, and it all comes at a highly affordable price. 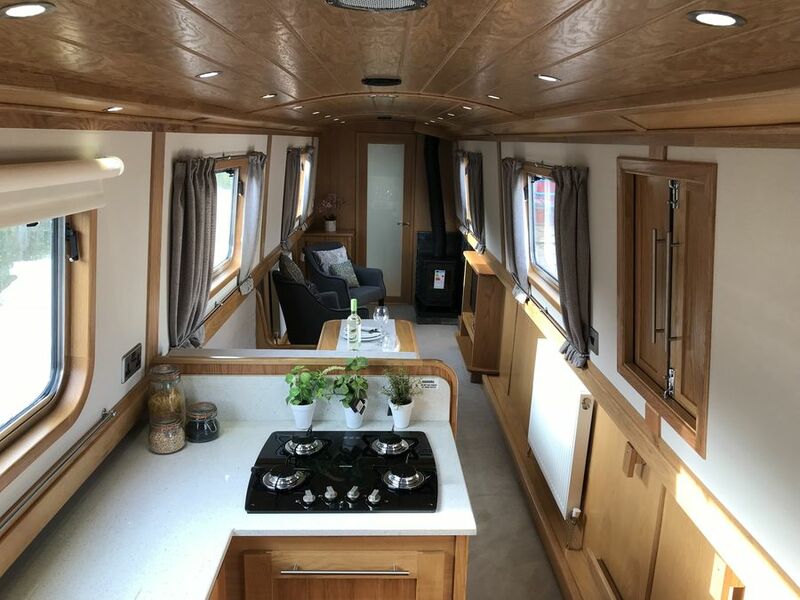 Another spacious and impressive offering from the Hanbury Range, the Emperor offers outstanding value and is an ideal liveaboard with some eye-catching features such as the stove surrounded by a wooden mantelpiece, and plentiful storage in hand-crafted dresser units. As usual a host of options can personalise the boat. The Eurocruiser & the Baby-Eurocruiser are ideally suited to use on the inland waterways of Europe. 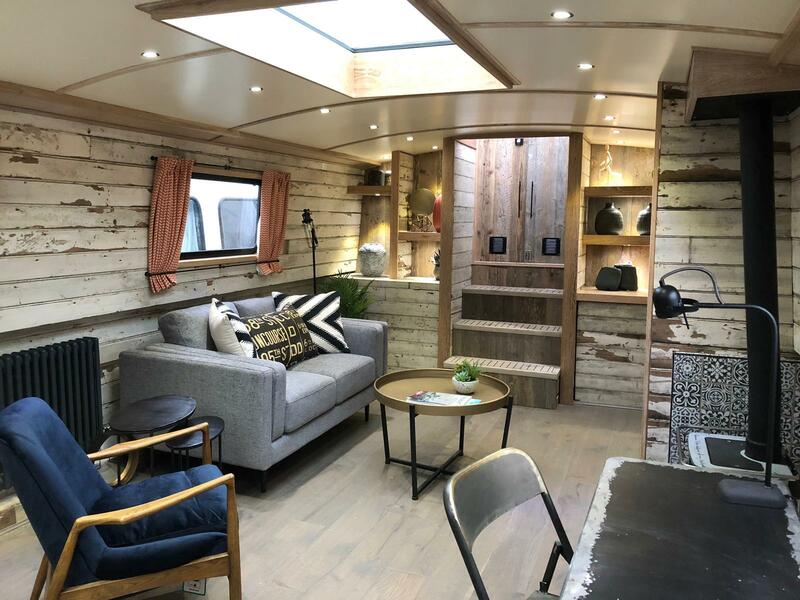 Designed with river cruising in mind and featuring a square stern with built in seating areas and wheel steering, making a very comfortable and social boat to cruise. The standard size is 6o’ x 12’ or 60′ x 10′ but custom lengths and widths are available. 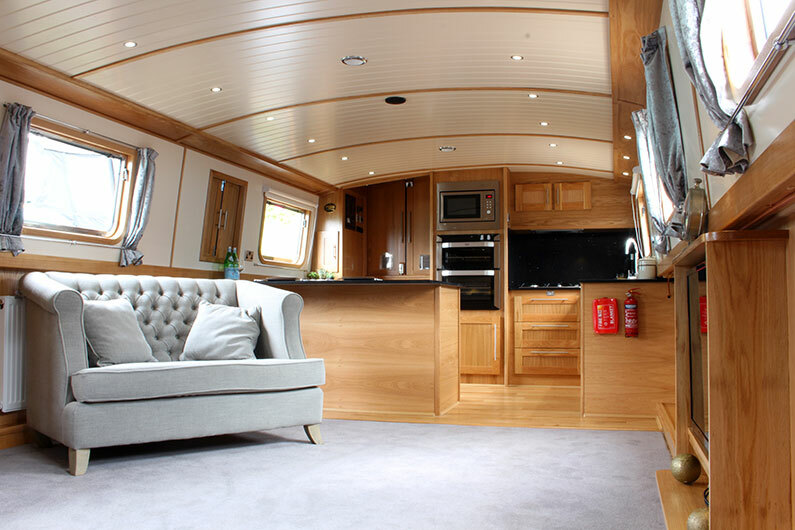 The size and high specification of the Abode wide beam boat makes it the ideal alternative to a luxury apartment. 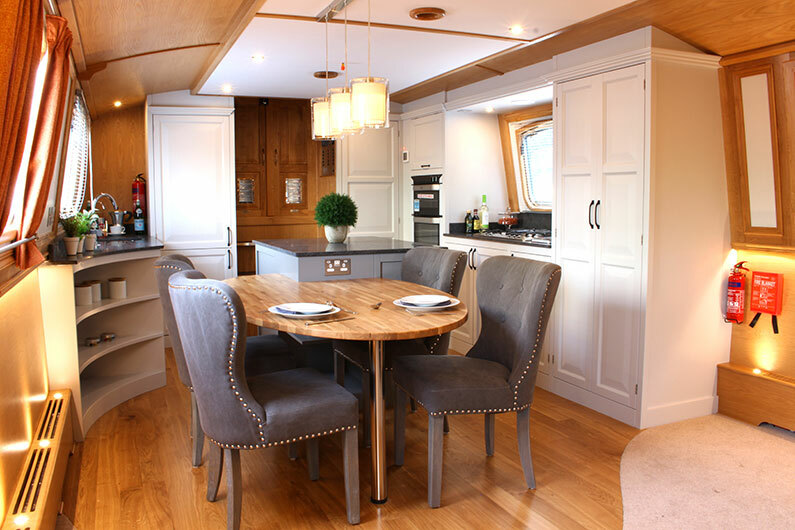 Packed with appliances, exclusive features and sumptuous decorative touches, the Abode provides all the benefits of on-water living with virtually none of the compromises. 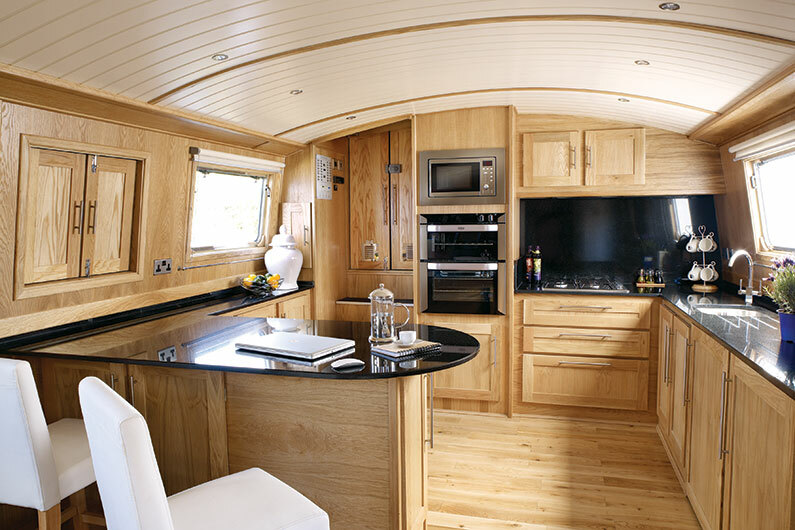 Why not personalise your boat exactly to your tastes with our new service - have it your way! At the New & Used Boat Co, customer satisfaction is our No.1 priority. 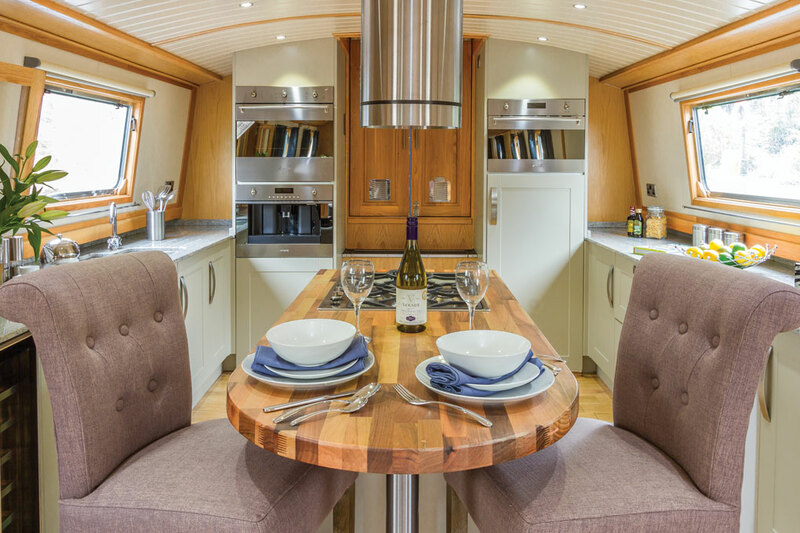 That’s why our Hanbury Range now includes our complimentary HAVE IT YOUR WAY design service where we’ll tailor the interior layout of your chosen boat to match your individual requirements. There’s absolutely no extra charge and we’ll even produce a set of bespoke drawings for your approval before we go ahead and build your personalised vessel. The Aqualine range of boats is unique. Now you can afford the kind of quality and character that is normally the preserve of an expensive custom-built craft. How is this possible? 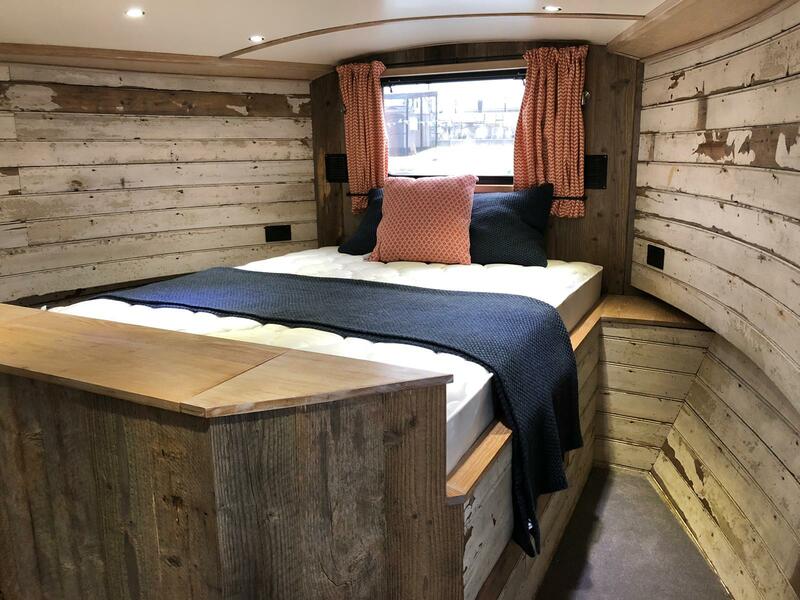 Quite simply through a combination of innovative construction, the careful sourcing of materials and the employment of traditionally-skilled boat builders. 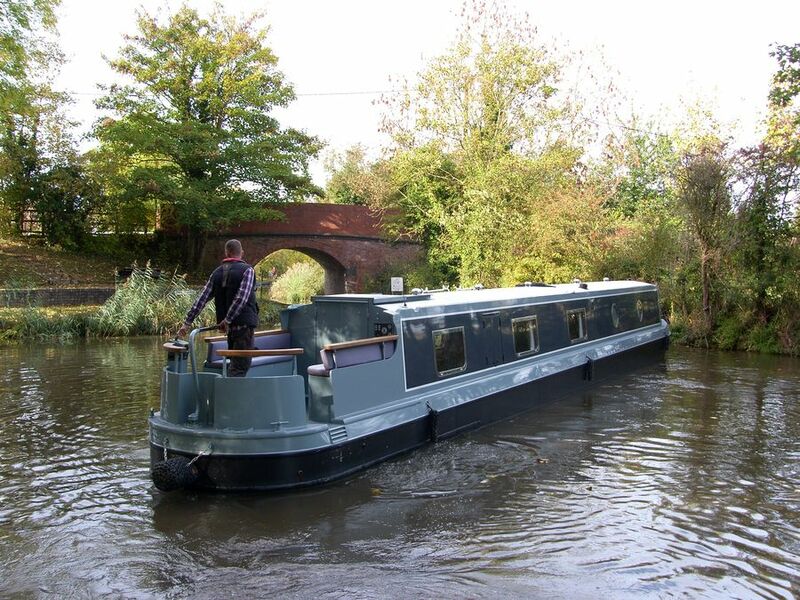 It’s an approach that runs right through the range, whether it’s a narrowboat or a widebeam. In fact, Aqualine has more than a decade long heritage of creating boats that are in a class of their own. It is this experience, combined with constant improvements, that make them a byword for excellence. Aqualine don’t compromise… So why should you? 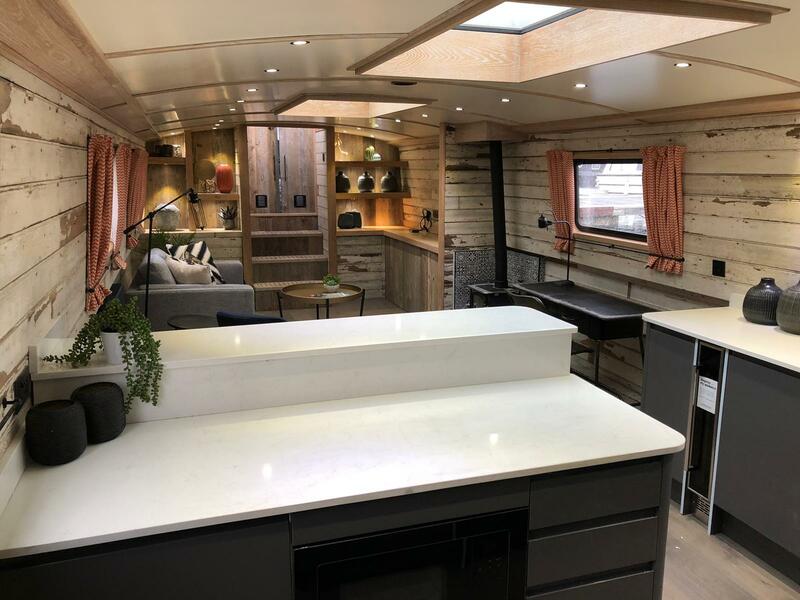 Aqualine’s hand-crafted narrowboats offer bespoke level design and finish at affordable price, backed by a reassuring after-sales support service. 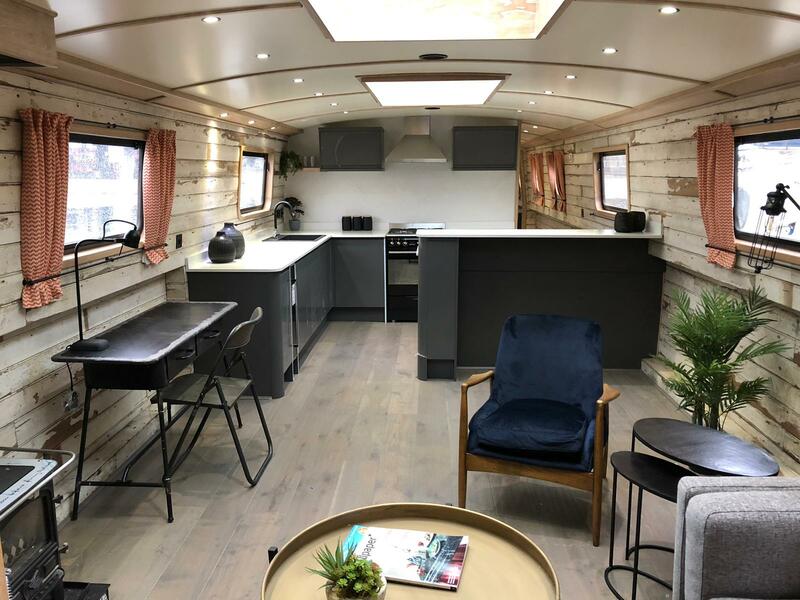 Choose from four layouts, the Madison, Manhattan, Monaco and Montana, which can all be personalised with a wide choice of finishes and optional extras. You can also choose your length up to 70ft to incorporate more rooms or give more space to existing rooms. 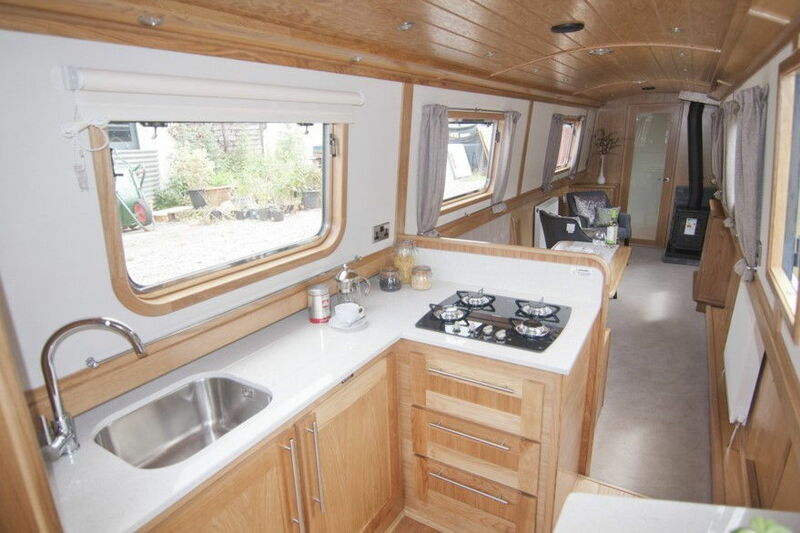 The Canterbury has been designed to be modular, so you have a lot of leeway in planning the way the space is utilised. Arrange the rooms in the order that you want them. Fancy a full sized bath with a shower over instead of a cubicle? No problems. Want a second bedroom to incorporate bunks and a study area? All this and more can be accomodated. There’s a choice of widths – 10, 11 or 12ft and you can choose the length in 1ft increments up to 70ft. Whether moored up in the city or cruising the waterways of Britain or the continent, the Canterbury lets you do it without compromise..